I lead a group each morning at 8 am with pool Exercises for about an hour. GETTING UP AS SOON AS I WAKE. I CAN'T LAY IN BED. GET TOO STIFF. WALKING A BEING ACTIVE HELPS. PLUS NEAT SEEMS TO HELP ME . Do they really help? 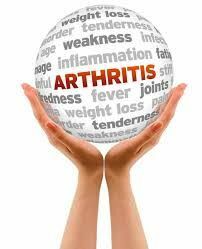 An article in Arthritis Today said that exercise & non -drug therapies should be your first line of treatment for fibromyalgia. What has been your experience?